Need sun protection, climate control and good looks? 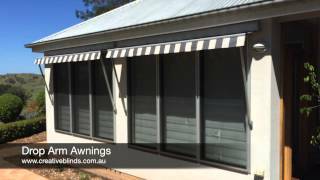 Consider Drop Arm Awnings. Pivot Arm Awnings are an excellent exterior shade option and one of the most versatile products on the market, with modern fabrics providing a contemporary take on a traditional favourite. A key feature of our Pivot Arm Awnings are their ability to provide shade whilst also allowing air flow, making them ideal for ‘hot spots’ and west facing areas. 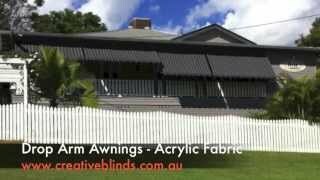 Pivot Arm Awnings are also a popular choice for inaccessible and upstairs windows, and are designed to withstand mild to medium winds. 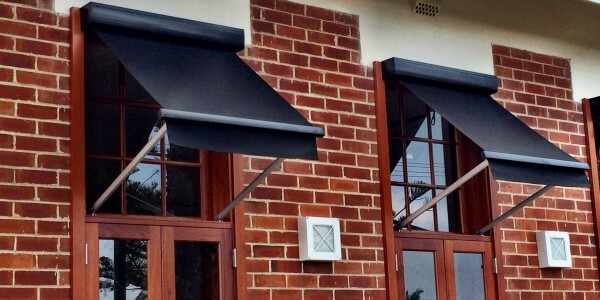 Our Pivot Arm Awnings operate on extendable arms which are fixed to the exterior wall. The arms pivot in an arc, allowing the blind to extend and retract, before locking into position. The large area between the window and the awning enables greater air circulation, and is also a good option for wind-out windows. Pivot Arm Awnings can be fully retracted to maximize light and airflow; extend horizontally like an overhead canopy to provide shade; and extend to an almost vertical position, increasing shade and privacy benefits. 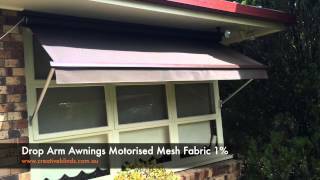 Pivot Arm Awnings can also provide shade over doorways and patios. Pivot Arm Awnings on the slide rail can be locked at various positions. 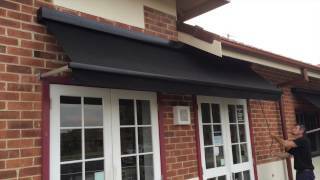 The awning can be fully retracted, extended horizontally (like an overhead canopy), or extended to an almost vertical position. They will provide shade over doorways (whilst operational) or over smaller patio areas. Starting from $1060 – Depending on fabric, accessory options and control options. Based on size 1500mm x 1200mm. 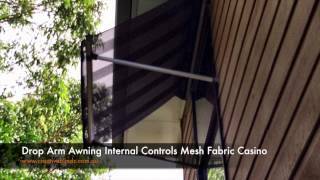 Pivot Arm Awnings help to protect carpet, furnishings and accessories from harmful UV rays, and also help to minimize home cooling costs. They will significantly reduce the total heat load on your home, creating a more comfortable living environment.